RPS is looking to appoint a new Ecology Manager or Team Leader to our team on a permanent basis. With the role based in Newcastle we are seeking an energetic manager with experience working across NSW in varying landscapes. You will be tasked with project delivery to a budget and time frame as well as all relevant local, state, and federal legislative requirements. The role includes building and maintaining client relationships and will be involved in hands on flora and fauna related targeted threatened species surveys, plant and plant community type identification, impact assessments, and research and monitoring programs primarily in the land development, infrastructure and mining sectors. You will be expected to manage your team’s performance by ensuring key performance indicators are met including Program, Budget, Quality, Health, Safety and Environment (HSE), and business strategy. You will also need to support the Service Line Leader – Terrestrial and Aquatic Ecology in fulfilling their role. Graduate degree in environmental science, environmental management, ecology/ botany/ zoology or similar discipline. Demonstrated 10+ years’ experience in terrestrial ecology with advanced knowledge of field and reporting techniques across a range of faunal groups and Plant Community Types; a well-developed understanding of data analysis/management methods; relevant Legislation, Guidelines and an advanced knowledge of environmental/ecological processes, principles and practices. 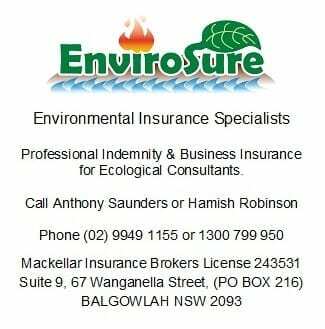 Strong knowledge of environmental legislation and planning policies. Experience working with a wide range of environmental assessment and planning projects. RPS offers career progression opportunities as well as paid study leave + professional memberships + active life reimbursement + novated leases + anniversary leave + more.